In 1830 Brooklyn had a population of about 20,000, which skyrocketed up to 138,000 by 1850, and surpassed 1,100,000 residents by the turn of the 20th century [aka 1900]. Atlantic Terminal was originally opened in 1852 as the Brooklyn stop of the LIRR's New York and Jamaica Railroad. The station was erected where Hanson Place meets Flatbush and Atlantic Avenues. In 1877 - 1878, the terminal was redone and renamed Atlantic Terminal, after the Brooklyn South Ferry terminal along the East River was closed - making Atlantic Terminal the last stop on this spur of the LIRR line. The Long Island City train station was opened in 1854 as the Hunters Point station. According to Wikipedia, it was rebuilt seven times leading up to the turn of the 20th century. In 1902 the Long Island Station House burned down, was rebuilt in 1903, and finally torn down in 1939 - although the station continues to operate to this day. 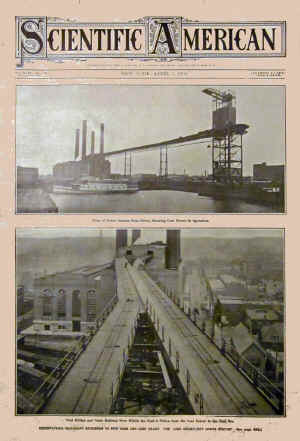 Scientific American depicting the significant industrial nature of Pennsylvania Railroads' Long Island City hub. In the mid 1800's the Long Island City terminal became the industrial hub of the rail line, as freight and passengers were ferried across the East River through the Gantries, which still stand today in Gantry State Park. Passenger ferry service ended in 1925, but freight and car ferry service continued into the middle of the 20th century. The photo shows the Sunnyside Yards in Long Island City. 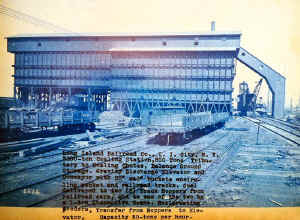 The train cars shown in the foreground carried tons of coal for power. The Queensboro Bridge was opened in 1909, the #7 subway service opened in 1915, and the Midtown Tunnel opened in 1939 - all of which began facilitating passenger and various degrees of freight traffic across the East River. By the mid 20th century, the glory days of the railroads were behind them, having been replaced by cars, trucks and a vast network of highways. We return to Dave's lecture where he zooms in and provides us with a closer look at the role of Sunnyside Yards and the history of the railroads in Queens and New York City during their heyday. 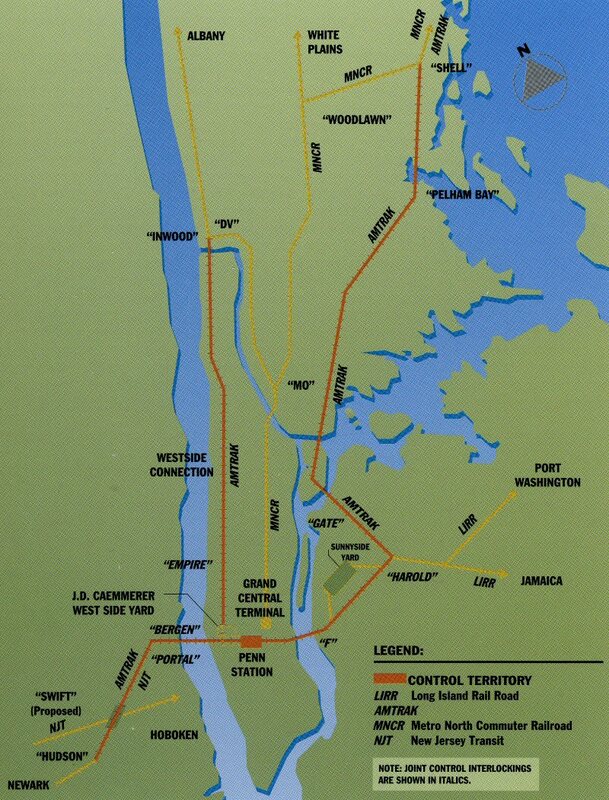 Dave told us that in 1900 the Pennsylvania Railroad purchased the Long Island Railroad, in part because of its extensive land holdings in Long Island City. The Pennsylvania Railroad continued to acquire land in the surrounding area that amounted to an additional 40 acres, which included 40 houses, 52 streets and quite a bit of low lying swamp land. He also reported that the name, Sunnyside Yards, dates back to as early as 1710 when the French Hugenots bought some land including a hill they named Sunnyside Hill. 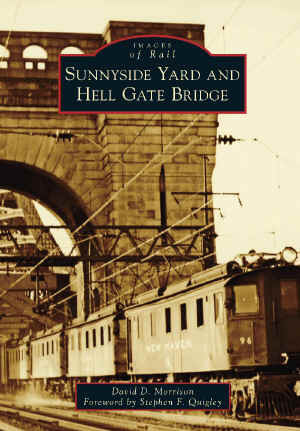 Dave told us that a tavern adopted the name of Sunnyside and the name stuck when the railroad company opened Sunnyside Yards in 1910. 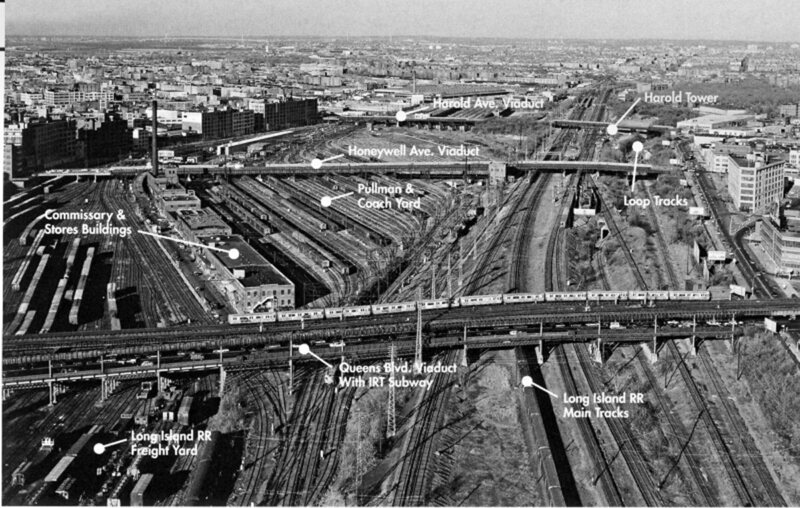 This 1977 aerial photo at right shows the Sunnyside Yards in Long Island City Queens. Annotations by Nick Kalis. 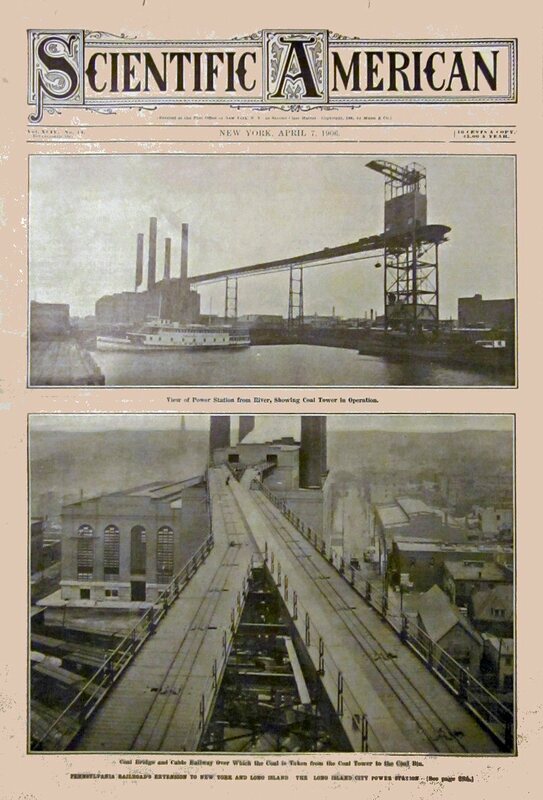 Sunnyside Yards was part of a much larger plan by the Pennsylvania Railroad Company at the turn of the century. Prior to 1910 the Pennsylvania Railroad terminated in Jersey City. This was a severe limitation / inconvenience as east bound travelers had to then scramble for other transportation to go into Manhattan / New York City as a destination or to continue onward to the Northeast section of the nation. The map shows the Pennsylvania railroad track lines in New Jersey and New York. According to Wikipedia, in 1902 / 1903 the Pennsylvania Railroad began work on two tunnels underneath the Hudson River, four tunnels underneath the East River and the grand new Pennsylvania Station at 34th Street. 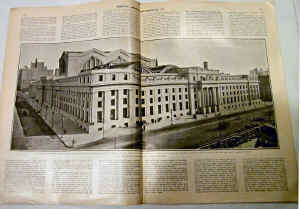 Penn Station and all of the tunnels were completed and opened in 1910, at which time the Sunnyside Yards was also completed and opened. Dave reminded us that back around the turn of the century, there weren't any airplanes, and the auto industry was in its infancy and the nation's roadways were a hodgepodge of interconnected dirt roads and cobblestone streets. Train travel was really the only efficient way to transport people and freight. And the grand plan of the Pennsylvania Railroad at that time, required a significant investment, but it was a huge risk that paid off. Dave's interest in collecting railroad paraphernalia, like Bob Singleton's in collecting disparate aged odds and ends, pays off when historians try to reconstruct the life of historical times. Dave was called upon to pick up the old photographic negatives of a former claims photographer [Fred Weber] for the railroad. Dave saved six of twenty-four boxes, as the others were unsalvageable. In the six boxes, we were given a rare glimpse of the golden days of the railroads and the glory days of Sunnyside Yards. One of Dave's findings in Fred Weber's boxes was of the laundry operations at Sunnyside Yards. Back in the day, train travel was somewhat luxurious, and the trains provided linens in Pullman sleeper cards, table cloths and cloth napkins in dining cars, towels and the like. 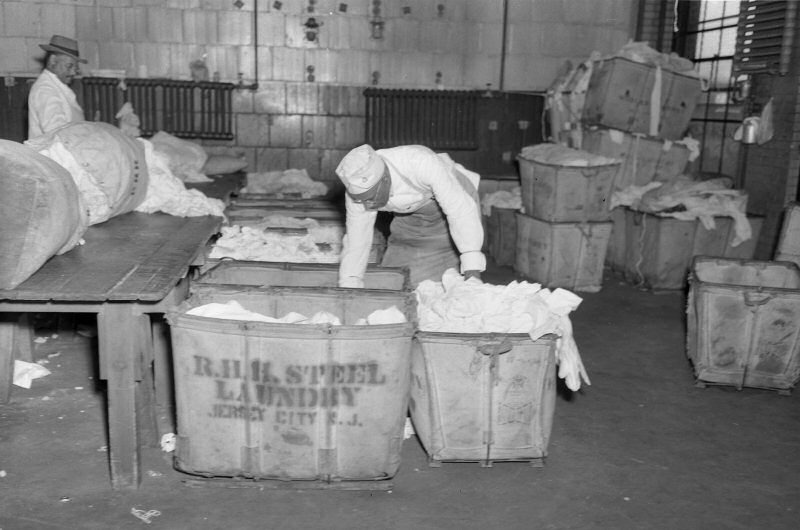 Dave told us that the Sunnyside Yards laundry service was the largest in New York City during the early / middle part of the 20th century. The photo was taken in 1947. Other details Dave noted in Weber's photos were things like the steel plates resting atop the walkways in Sunnyside Yards. Dave noted that beneath those plates were the electrical, plumbing and steam heat / air pipes used to clean and maintain the train cars. Dave also noted that the railroad company maintained one of the largest stables in New York City at Sunnyside Yards around the time it opened. The reason for the stables was to enable deliveries of freight from the trains to local destinations. As noted above, cars were still in their infancy, so this changed as the century wore on. Dave informed us that the size of Sunnyside Yards was about two miles in length and about 600 feet in width. At its height, Sunnyside Yards could hold 79 full length trains or 1,100 rail cars. Trains would come in on an eastbound loop, get washed and refurbished, and then loop around at the northwest side of the yard, ready to return to Penn Station. Dave didn't specify how many people worked in Sunnyside Yards, but remarked that it was probably in the thousands. He noted that the old Long Island City YMCA was five stories high and likely was temporary home for many of the rail yard workers. Dave showed us a number of photos of Penn Station back in its heyday. Penn Station opened in 1910 and was torn down in 1963. The Pennsylvania Railroad had a lot of money at the turn of the 20th century, and they invested substantially in the station to make it an awe-inspiring structure. Dave showed us a rare photo that included Adolph Weiman standing next to one of the sculptures he created to adorn Penn Station. Apparently Weiman was in charge of making all of the sculptures that adorned the massive 20th century structure. Dave told us that he'd read and viewed a wide range of books about Penn Station, but that the author he preferred was Lorraine Diehl. One photo Dave showed us was of the first train out of Penn Station in 1910. 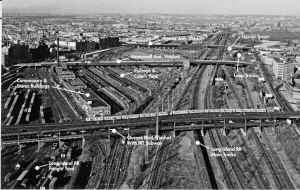 In 1990 the old Harold Signal Tower in Sunnyside Yards was torn down. The signal tower had been used to manage traffic in the yards, but thereafter all of the Sunnyside Yards train traffic is all managed from a building near Penn Station. As previously mentioned, the trains were electrified in 1910. This transition required a huge amount of energy to be provided to move the trains via what is called the third rail - the power rail. 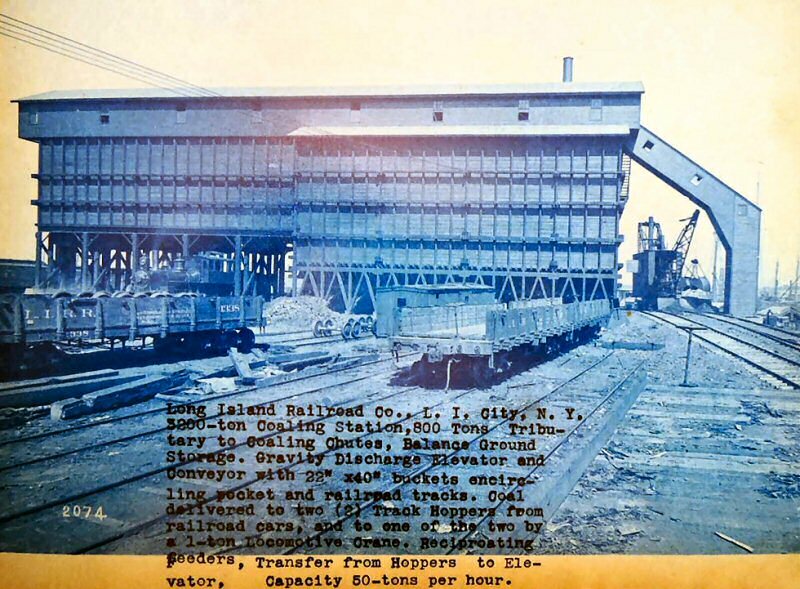 To provide trains with the energy they needed the railroad companies had to build large power house stations as well as substations along the way. As such the Power Plant in LIC was opened and was capable of providing 11,000 volts of alternating current. The power was transported to the substations on high tension wires where it was transformed back into 660 volts of direct current [not 100% certain I have this right]. Dave took us on a photographic tour of the LIC Power House which was converted to residential space within the past decade or so. The architects preserved some of the architectural details of the original building. Another photo shown by Dave was of a GG1 Locomotive. 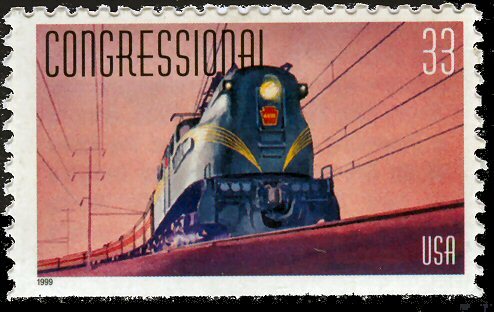 The locomotive was the breadwinner from 1934 to 1983 or 39 years, which was a long time for a locomotive to continue running. Dave noted that the GG1 locomotive also made it onto a stamp, which is rare. Dave warned us to be careful when searching for old railroad paraphernalia, as in 1972 the LIRR reprinted copies of a lot of their old tickets and whatnot and DID NOT denote that they were reproductions. So oftentimes people are selling reproductions not knowing for certain if they are real, which Dave noted is difficult for even experts to discern. Dave closed his informative presentation by encouraging folks who were interested in learning more about the Sunnyside Yards, Hell Gate Bridge and the railroads in New York City and surrounding area, to pick up a copy of his book, which he graciously autographed for a number of people in attendance who purchased them. To view many more photos and obtain significantly more interesting historical detail, you can buy Dave Morrison's book online at www.ArcadiaPublishing.com , the publisher of Dave's book. Additionally available at Amazon.